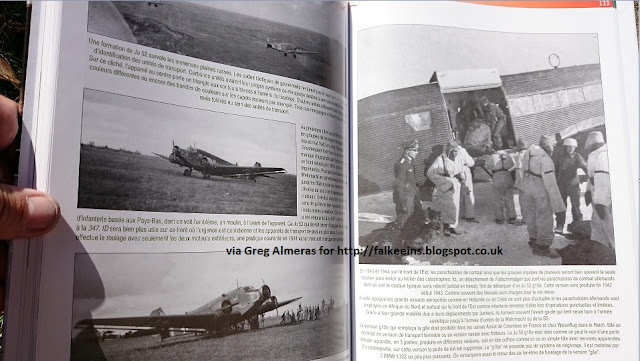 Grégory Almeras is a 39-year old WW II aviation enthusiast based near Montpellier in the south of France. He has spent the past ten years assembling a collection of photos of the Junkers Ju 52 and writing detailed captions retracing the story of this iconic aircraft. This new book is the result of all those hours spent poring over his photo albums. At 176 A-4 pages in hardback and featuring over 350 photos, the book is essentially a photo compilation organised into 23 chapters with one, two or three photos per page and captions of a corresponding length (some at least one half page) - in French. 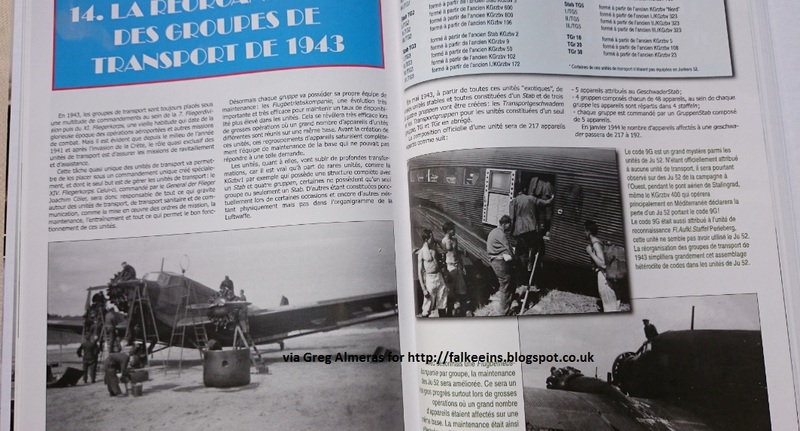 The images are mostly excellent, previously unpublished and cover the type's early career as a civilian airliner and transport, with one chapter given over to the French AAC 1 Toucan. The bulk of the work features the type in service with the Luftwaffe prior to and during WWII with much detail of the many resupply operations mounted by the Germans on the Eastern Front. The campaign in the West and other theatres such as Crete, Scandinavia and North Africa also feature. Each chapter has a short introductory text. Some twenty large scale artworks by Thierry Dekker are distributed throughout, while one chapter covers the restoration of a French Ju 52 detailing internal and cockpit views. There is also a small modelling chapter. The author explains that none of the period photos are enhanced or cropped or otherwise manipulated to enable the full context to be appreciated. For the most part they were taken by the crews themselves in the heat of the action. So while a few are less than perfect, many are absolutely first-rate and, reproduced large, take us right into the daily lives of the men that flew or maintained the aircraft through some of the most dramatic moments of WWII and post-war history. A very nice addition to the literature in my view. Below 'sample' photos, captions and general page views courtesy of author Grég Almeras. 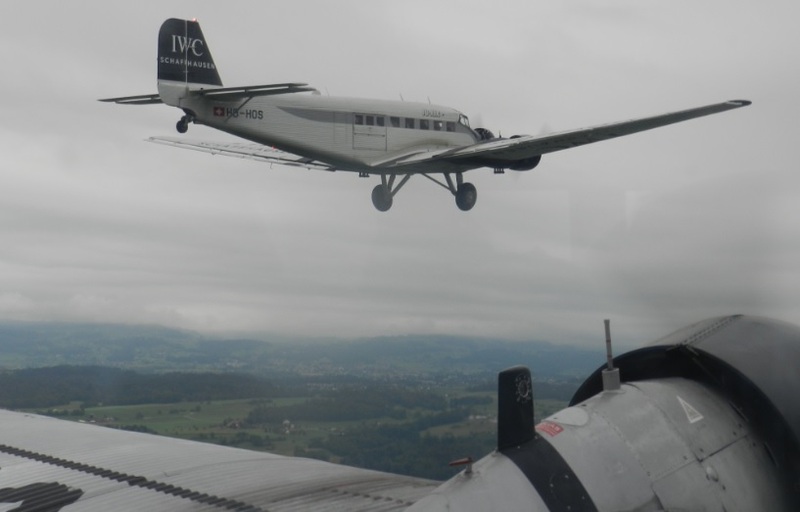 Above; Junkers Ju 52 KC+RV (WNr. 7198) seen somewhere seen in the Soukhinitchi sector in the East during January 1942. A crew member is checking the forward defensive MG turret. Prior to being assigned to a Front unit, this machine was serving with FFS C8 at Wiener-Neustadt, a multi-engine training school. During December 1941 Soviet pressure on the central sector had firmed and was increasing, leading to the establishment and dispatch to the front of new transport units, KGr zbv 700, 800, 900 and 999 assembled utilising school machines such as this one. Typically this aircraft is still displaying its factory codes, there being no time to replace them with unit tactical codes. These new Transporter units were quickly sent north to participate in the airlift into Demyansk. During moments of crisis such as Demyansk ad-hoc transport units were hastily assembled and sent to the front often for only a matter of a month or two which meant there was little or no time for codes or emblems - one such unit was KGrzbv 7 which existed for two months during February and March 1942. 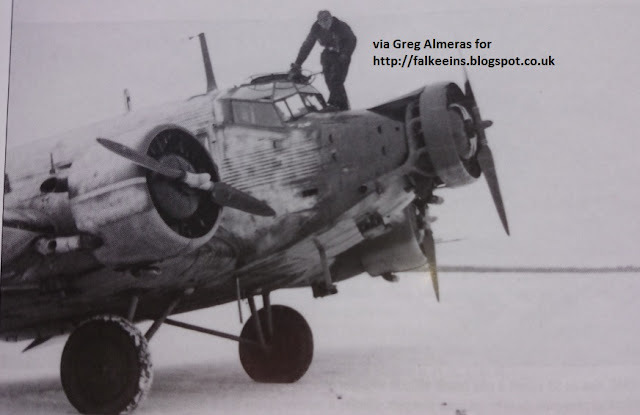 Note the wing de-icing system common to several Ju 52 variants - the lower engine exhausts feeding directly into the wing leading edge. The thin yellow horizontal band on the cowling was an ID feature. Note also the steel plate cover over the nose engine to the fuselage designed to prevent the oil thrown from obscuring the windscreen and cockpit glazing. Below; taken on taken on 5 June 1942 this snapshot depicts a moment of respite for this crew based at Flugplatz Nikolajew, a rear area base in the Ukraine north-west of the Crimean peninsula. Things weren't always this quiet. Barely three months previously this field was the scene of a very successful partisan action. 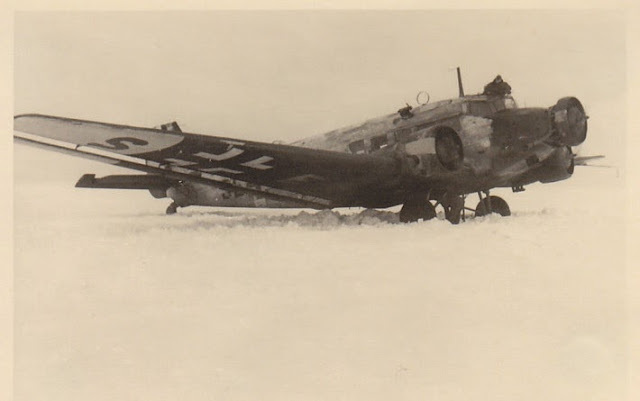 During March 1942 a Russian worker managed to place dynamite among a large stock of bombs and blew several hangars and some twenty aircraft of JG 77 and StG 77 sky high. Captured by 16. Panzer division on 13 August 1941, Nikolajew had quickly become an important Luftwaffe platform as the front moved further eastwards. Additional hangars and concrete runways were constructed. 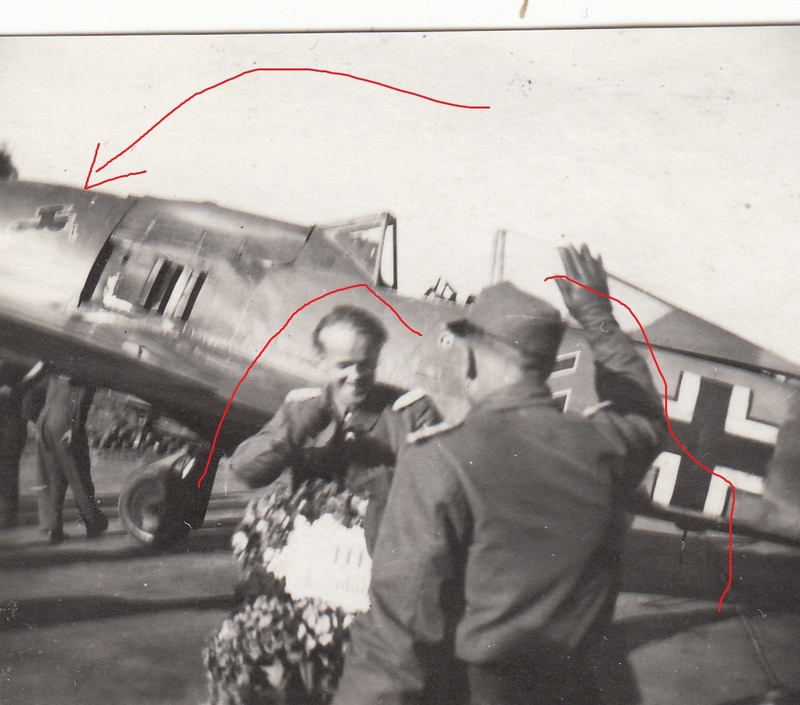 Note the open cockpit access door on this Ju 52 g7e, the variant confirmed by the absence of a generator on the starboard fuselage side. Note also the small mirror on the inner cowl face of the port engine which helped the pilot to synchronise the propellers by enabling him to set up a 'strobe' effect with the nose engine prop by adjusting the engine revolutions accordingly. The most experienced pilots simply relied on their feel for the aircraft to perform this type of adjustment. below; another Eastern Front machine with rudder tail code seen after a Notlandung. 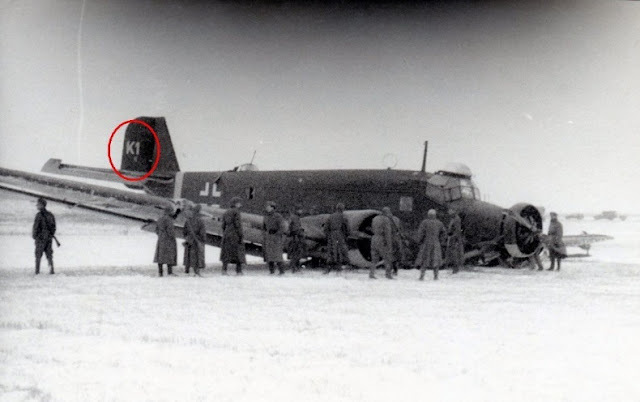 Here the 'K1k' tailcode indicated 1./Einsatzgruppe led by Major Kupschus. Kupschus was Kommandeur of III./LLG 1 and led this short-lived unit which only existed between September and December 1941, established to bolster transport capacity on the Eastern Front from a variety of LLG1 and school machines. The Einsatzgruppe Major Kupschus was the very first unit introducing so-called Transporter tactical tail codes - ie a mix of letters and numbers bearing no relation to the Verbandszeichen - as quoted on page 18 of Karl Kössler's 'Transporter - wer kennt sie schon?' (Alba, 1976) . 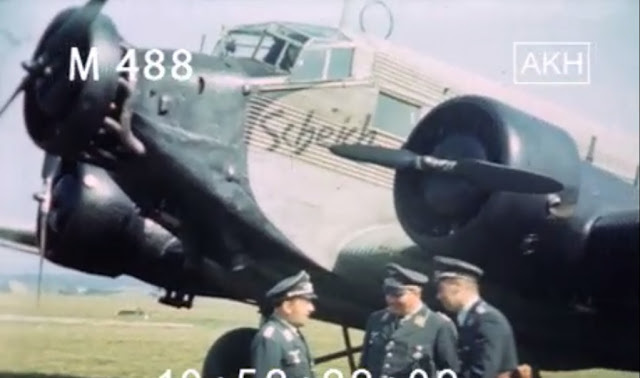 The large letter on the rudder stood for the first letter of the unit commander's surname, the small figure indicated the Staffel and the small letter the aircraft ID in the Staffel. One Leutnant Gerhard Wasserkampf (TO of Einsatzgruppe Major Kupschus) developed these tactical tail codes to allow rapid identification of the unit's aircraft on busy fields.. Although indelibly associated with Lufthansa and the Luftwaffe, the Junkers Ju 52 served in numerous air forces worldwide for several decades, so there are many books (more than twenty) dedicated to various aspects of its history. This new book by Jan Forsgren and published by Fonthill Media provides a competent and wide-ranging general history along with possibly unique and detailed coverage of foreign civilian and military use, foreign production and preserved aircraft. 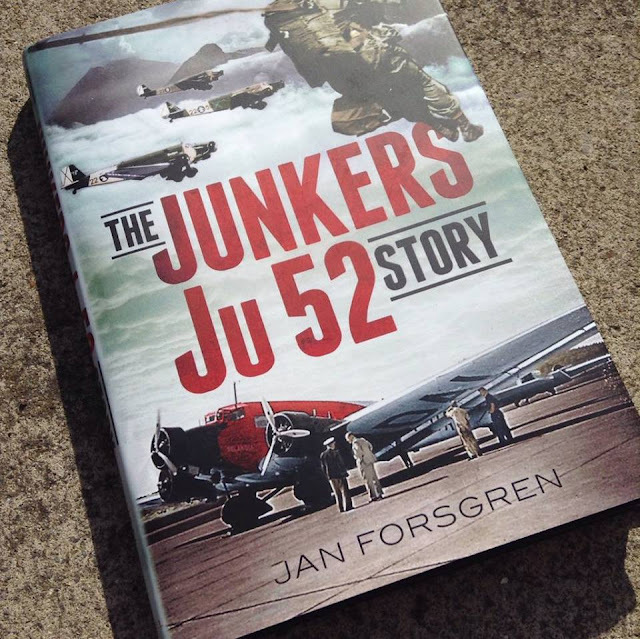 Read more below..
Jan Forsgren’s ‘The Junkers Ju 52 Story’ provides a thoroughly comprehensive general history and overview of the Ju 52/3m from its first flight flight in 1930 as a single-engined transport for small freight carriers up to the present day as ‘film star’ and museum exhibit. 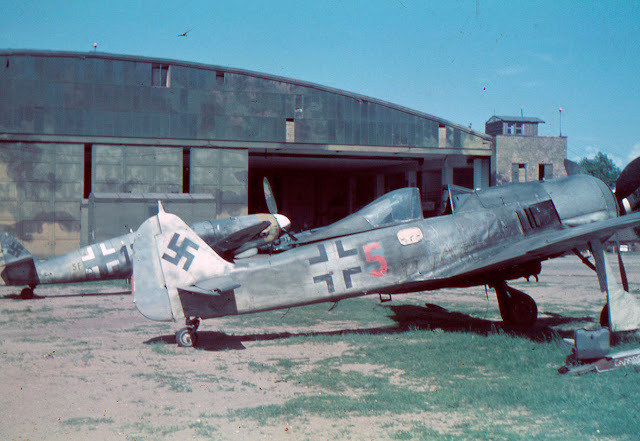 The last of Hugo Junkers corrugated metal-skinned types the rugged 'Tante Ju' could trace its origins back to the Junkers J1 attack aircraft of WWI and the revolutionary Junkers F.13 single-engined low-winged transport that first flew in 1919; the genesis of modern air transport. 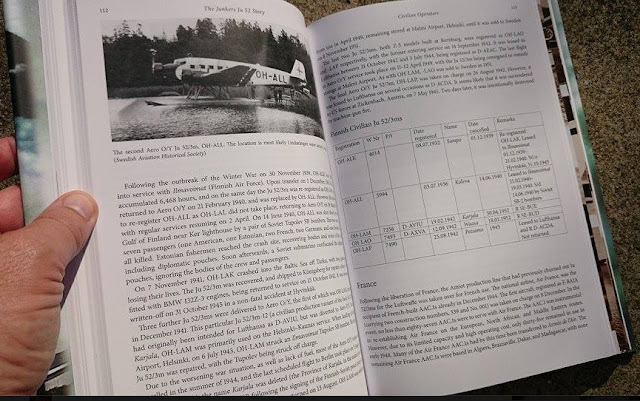 Most though will know it as the mainstay of the Luftwaffe transport fleet during WWII, but as Jan Forsgren points out in this new 256-page hardback history of the type the Ju 52 actually served far longer with the French Armée de l’Air as the AAC 1 Toucan. 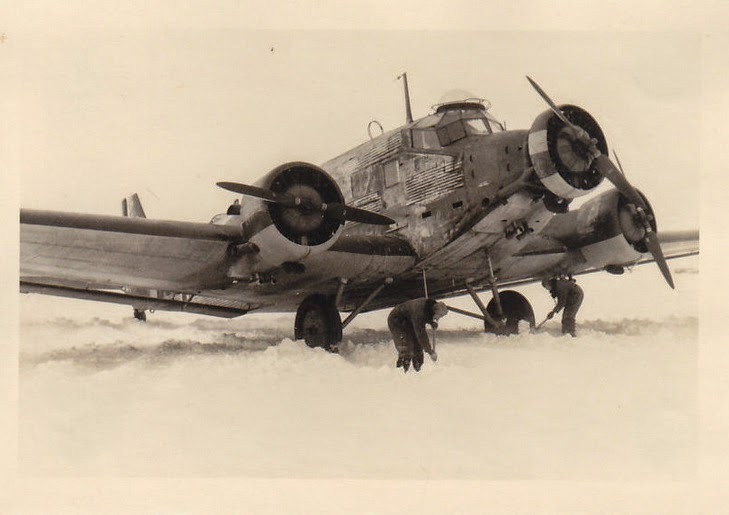 And while most will be familiar with the Ju 52 from the opening scenes of the 1968 classic WWII adventure movie 'Where Eagles Dare' that particular ‘film star’ was a Swiss Air Force machine delivered in 1939 and not retired until 1982! 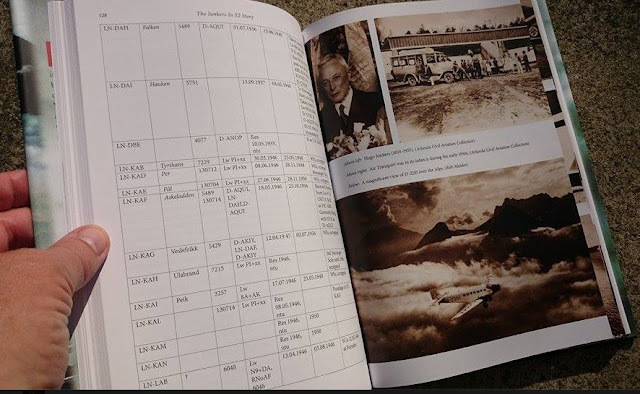 ‘The Junkers Ju 52 Story’ takes us to all five Continents with chapters detailing a host of civilian airlines and military operators – nearly fifty of them - including the UK with the pre-war British Airways and Australia. 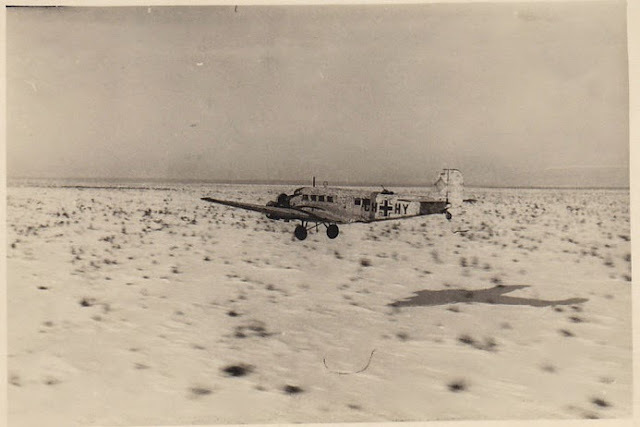 The ‘journey’ takes in the desolate fog-bound snow-swept airstrips of Pitomnik and Gumrak in Stalingrad (medi-vac, resupply) the high green valleys of North Vietnam (paratroop drop and level bomber), the fetid jungles of the Amazonian rain forests (medi-vac) during the small Latin-American wars of the 1930s and the deserts of North Africa during the mid-1950s. At least four Allied air forces had the type in their inventories post-war including the South African Air Force. 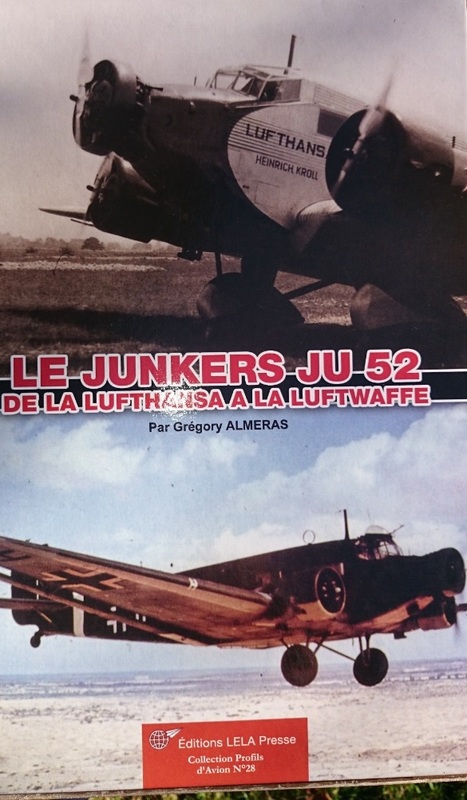 The ‘high-profile’ Lufthansa and Luftwaffe use of the Ju 52 are covered in separate chapters, while French and Spanish production and use – mostly ignored in English-language publications on the type – receive good coverage here. 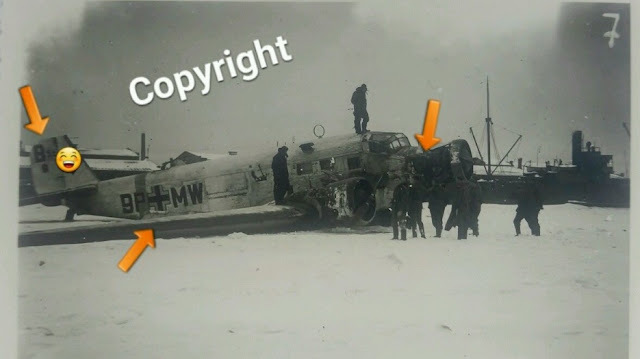 Designed and built by the Junkers Aircraft Company of Dessau the Ju 52 left the drawing board as a single-engined all-metal transport featuring load-sustaining corrugated skinning, WNr. 4001 taking to the air for the first time on 13 October 1930. The second Ju 52, D -2133 (WNr 4002) - fitted with floats and powered by a single 750 hp Armstrong Whitworth Leopard - was tested at Travemünde in August 1931. It was quickly evident that a single engine left the type severely underpowered. The three-engined Ju 52/3m first flew in April 1932 and was subsequently delivered to customer airlines and air forces worldwide- over fifty of them. Some of the first examples went to the Colombian Air Force ( Wnr. 4010-4012). Four of these were still in service in 1943 and even as late as 1966 one was still flying in Bogota. A trio of Ju 52/3ms, originally delivered to the Swiss Air Force in 1939 were not officially retired until 1982! Before the unveiling of Goring’s new Luftwaffe, the Ju 52/3m was produced principally as an 18-seat airliner, some 80 of the type serving with Lufthansa flying from Germany on routes in Europe, Asia and South America.Elsewhere in South America, Ju 52s were purchased by Syndicato Condor, a Lufthansa offshoot with a particularly large network across Brazil, Peru and Bolivia. The company operated some sixteen Ju 52s, but was disbanded under US pressure during 1941 on the pretext that the Ju 52s could potentially be used to ‘bomb the US’ - a 'ploy' to restrict the activities of a successful ‘competitor’ while expanding their own markets. Back in Germany a bomber version was quickly produced for Goring's 'new' Luftwaffe and the Ju 52 underwent its baptism of fire during the Spanish Civil War, participating in the bombing of Guernica. 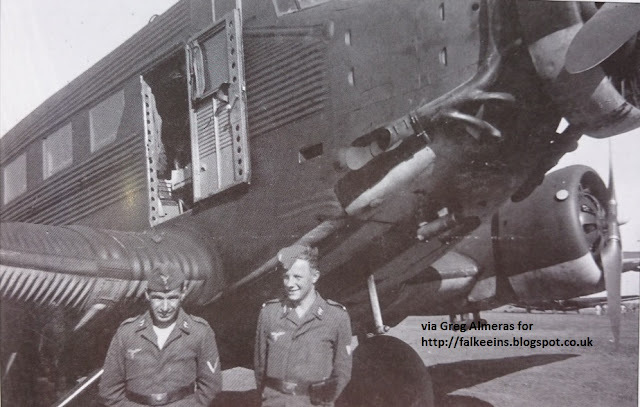 By the time of the invasion of Poland more than 500 Ju 52 Transporters were in service with the Luftwaffe. Used extensively on every front during WWII the Ju 52/3m fulfilled a multitude of roles. I was surprised to learn that exact production figures are unknown – estimates put total production of the type at some 5,000 aircraft, with about 2,000 delivered prior to September 1939. 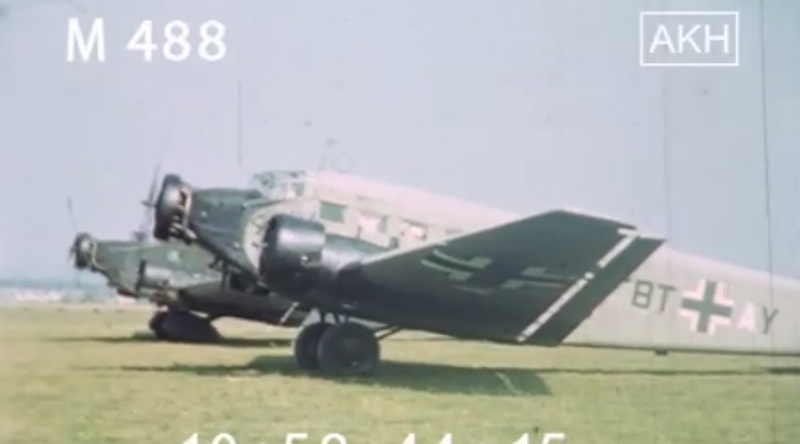 Some have said that the Ju 52's 'star' shone brightest in adversity. Forsgren doesn't. Even the successful invasion of Crete saw horrendous losses. Although a safe and reliable transport the Ju 52 was of course slow and cumbersome, and, as disaster after disaster befell the Germans during WWII - Stalingrad, the resupply and evacuation of the Axis armies from Tunisia - literally hundreds of Ju 52s were shot down by marauding Soviet and Allied fighters. Palm Sunday 18 April 1943 has entered aviation history as a ‘black’ day for Axis transports – over 50 Ju 52s downed.
" ..As usual the Ju 52s - despite all warnings and past experience - flew in a very open formation so that it was quite impossible to provide satisfactory cover. Suddenly about 80 fighters came diving down guns blazing. 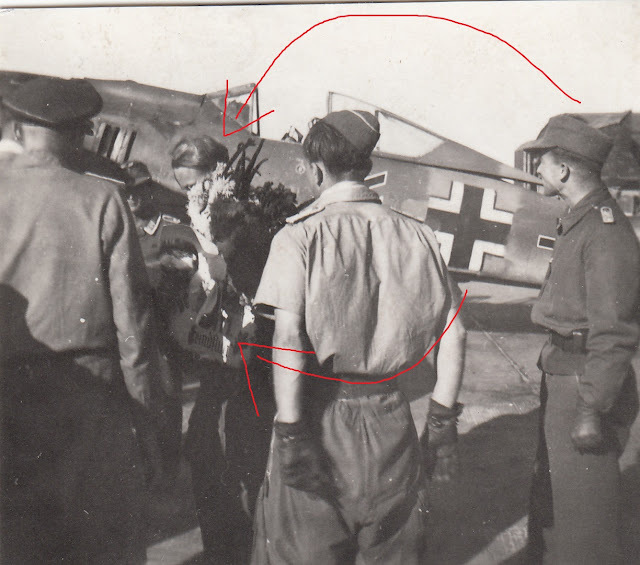 While the Bf 109s were engaged in combat the others swooped on the Jus and shot them down one after the other. The transports were flying too low to permit evasive action. 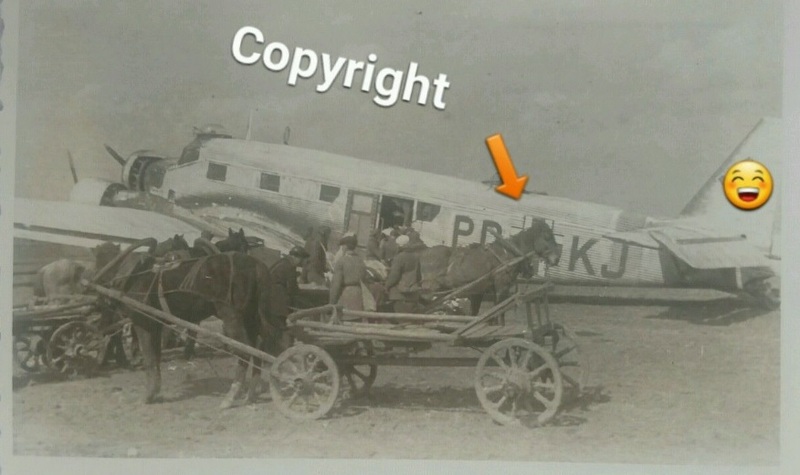 According to British reports 15 Ju 52s were destroyed on Monday 19 April following the destruction of over 50 transports the previous day, 40 on 10 April, and 31 on 11 April. These were nothing short of massacres. With tanks exploding the helpless Ju 52s plunged like blazing torches into the water to sink like stones or they crashed on the Tunisian coast.."
Jan Forsgren’s authoritative and wide-ranging text covers all Ju 52 variants – illustrated with some 150 photos including 44 in colour - and includes chapters on projected replacements and survivors with appendices listing the extensive French and Spanish production. A major variant was the floatplane version (Wasser). Ju 52 seaplanes saw widespread use in the maritime environment of Scandinavia pre-war and then played a key role in Hitler’s conquest of the region in 1940. Following the fall of Stalingrad some twenty Ju 52s used in the abortive resupply operation were immediately fitted with floats and sent to the Black Sea to be grouped in a new Lufttransportstaffel under Maj Hannibal Gude- Kapitän of 8. Seenotstaffel. Operating in and out of the Kuban bridgehead only one loss was recorded, on 23 March 1943. 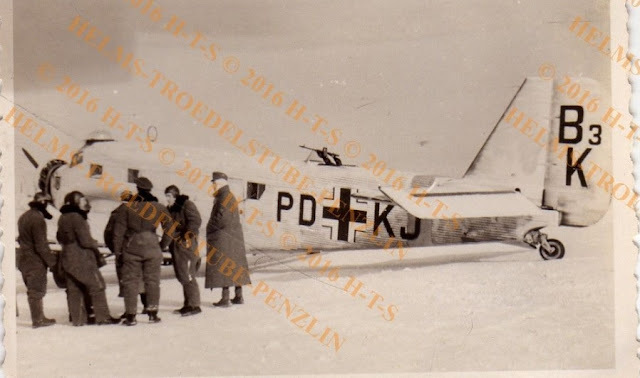 Ju 52 floatplanes were still flying in the frozen polar Far North in late 1944 with Transportgeschwader 20 (resupply and maritime rescue). A deserting 2./TG 20 crew reported that the unit still had eight Ju 52 (See) floaplanes on strength in October 1944. The main mission of this Staffel was transporting supplies and spares out of Trondheim to remote points with a single aircraft detached to Horten (Oslo) for air-sea rescue duties. The deserters – who ran out of fuel and put down in the sea some 30 miles off the coast of Aberdeen - also noted that lack of fuel had curtailed operations out of Trondheim in the three weeks that they had been stationed there. 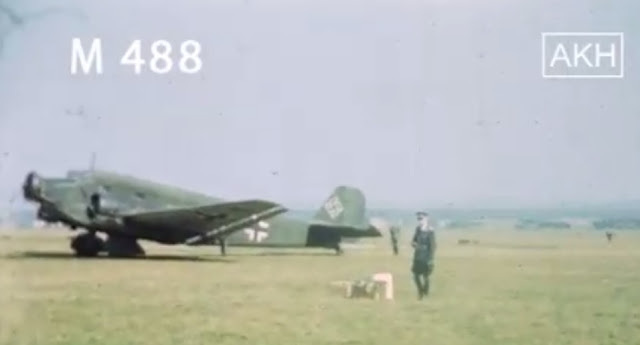 Unlike more ‘glamorous’ German types, post-war the Ju 52 continued to fly and serve. 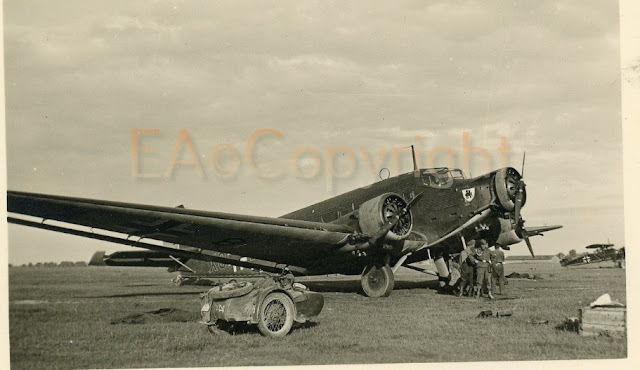 In 1945 one of the quickest and cheapest ways of re-establishing the French Air Force (Armée de l'Air) was to put the Ju 52 straight back into service and re-open production lines. The former Amiot factories in the Paris suburb of Colombes that had produced some 320 Ju 52s for the Germans under Vichy were re-named the Atelier Aéronautiques de Colombes (AAC) and continued to turn out ‘La Julie’ under the designation AAC 1 Toucan. The first post-war Groupe de Transport GT 3/15 was formed at Le Bourget on 1 February 1945 and the type served principally with GT 1/64 Béarn, GT 2/60 Franche-Comté and GT 3/64 Tonkin playing a major role in French Indochine (Vietnam) as a transport, level bomber, medi-vac and paratroop transport type - exactly as it had in the Luftwaffe. The AAC 1 flew its last sortie in Vietnam in February 1953 before debuting in another theatre and another war entirely – Algeria. The following stills are not in Jan Forsgren's book and are used here to illustrate the blog text. 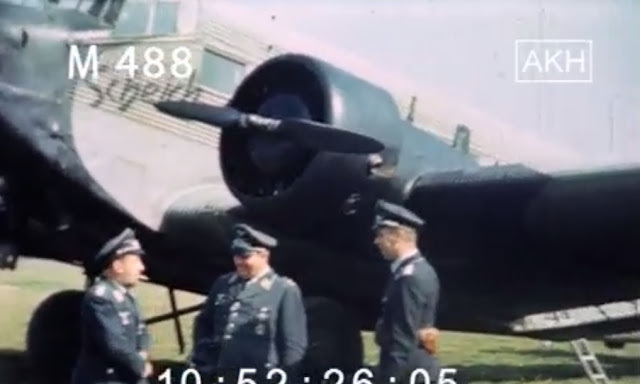 They appear in footage on reel 488 of the Agentur Karl Höffkes film archive AKH and are reproduced here with the kind permission of Karl Höffkes.